Paul Rand (1914-1986) — design legend, professional curmudgeon, uncompromising businessman. 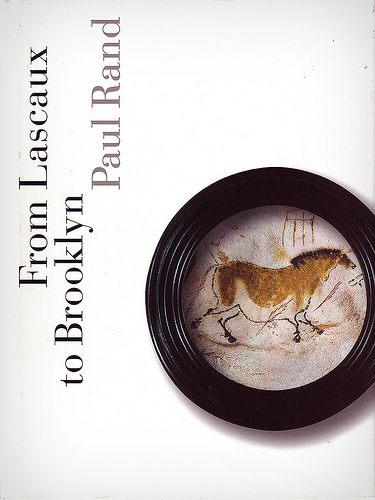 He is best remembered as the author of Thoughts on Design (1947), one of the most important design books of all time, but nearly half a century later, he produced another indispensable tome: From Lascaux to Brooklyn, published mere months before his death, gathers his life’s wisdom on the basic principles of design, creativity, and timeless visual communication. Then again, The Little Prince said it first.